"the need, the need for Speed..."
This sounds like the ultimate boy party! 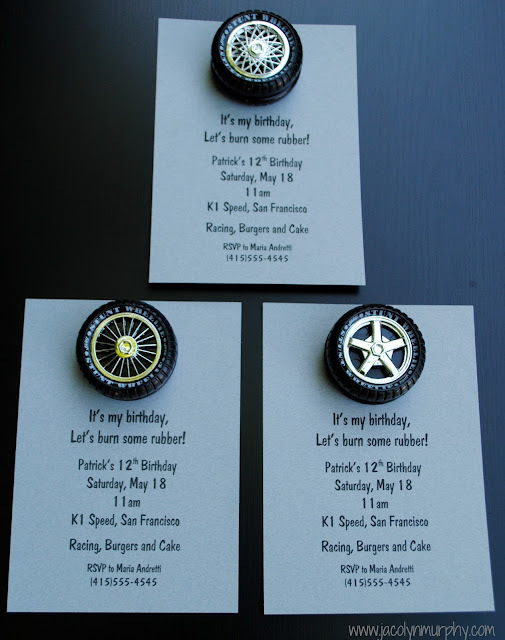 Cute invites! Haha! 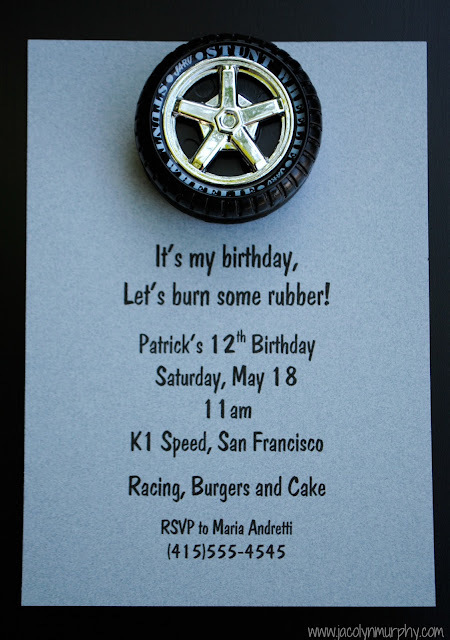 Love these invites... Sounds like a fun party, too! Thanks for sharing on Project Inspired! Those are so cute. Where did you find all the little tires? Fantastic invitations! 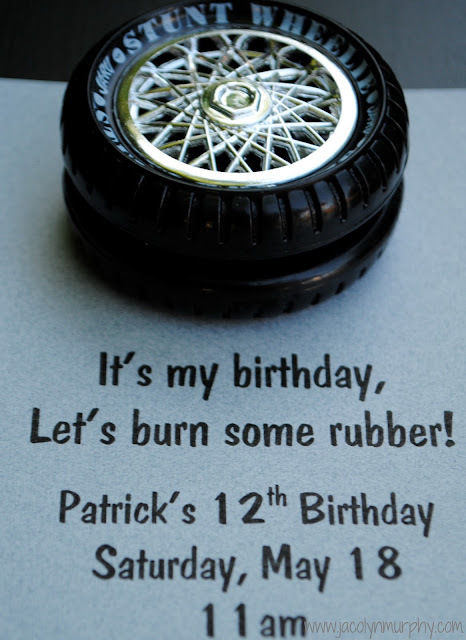 I would love to see the cake. My son is turning 12 and we're doing go karts too, but I'm having a hard time finding a cake style that's not too young and not all fondant. Thank you.